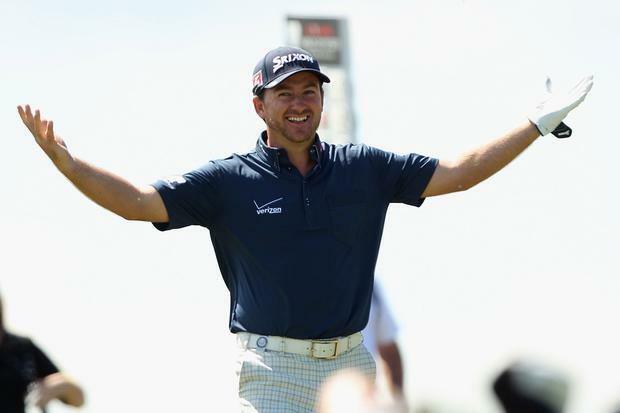 Former US Open champion Graeme McDowell has signed new contracts with Srixon, Cleveland Golf and ECCO clothing. McDowell, who has been with the company since 2011 said he was delighted by the latest developments, as the relationship has be a fruitful one. "I'm thrilled to remain a member of the Srixon and Cleveland Golf family, one I've been part of since my college days," said McDowell on Thursday. "I couldn't be happier with my current bag and I'm playing some of the best golf of my career. Much of that has to do with their exceptional equipment, coupled with the tremendous support they've continually given me," added the Irish golfer. "I'm now looking to taking things forward again and accomplishing many of my professional goals over the coming years," said the Major champion. "We couldn't be more thrilled that Graeme has decided to remain a member of Srixon's PGA Tour staff. Graeme is one of those unique individuals who brings so much to the game of golf," said Srixon spokesman Todd Harman. "His passion for competition, combined with his love for the game and respect for the fans, has made him the type of ambassador that any company would be honoured to have on their staff. The fact that Graeme has chosen to remain in the Srixon family says an awful lot in regards to how he feels about our products, as well as our company," added Harman. McDowell is also delighted to be continuing his relationship with ECCO clothing: “For a long time on Tour I’ve been wearing the World Class style which is quite traditional and goes great with a pair of classic-looking trousers. But for casual rounds at Lake Nona or even hanging out at Nona Blue it’s been BIOM Hybrid all the way and I may just choose those to go with some new outfits for next season." By Andy Hampson, Press Association Sport Fernandinho believes Manchester City are showing their champion qualities as they fight “like animals” to retain the Premier League title.